We have an excellent children’s program with well qualified children’s counselors who can supervise your children all day. You just sign them up for the times you wish. Our kids camp also offers a few dinner time activities throughout the week, including pizza and a movie and also a BBQ and tye-dye part at the pool so that parents can enjoy a quet dinner in the lodge. 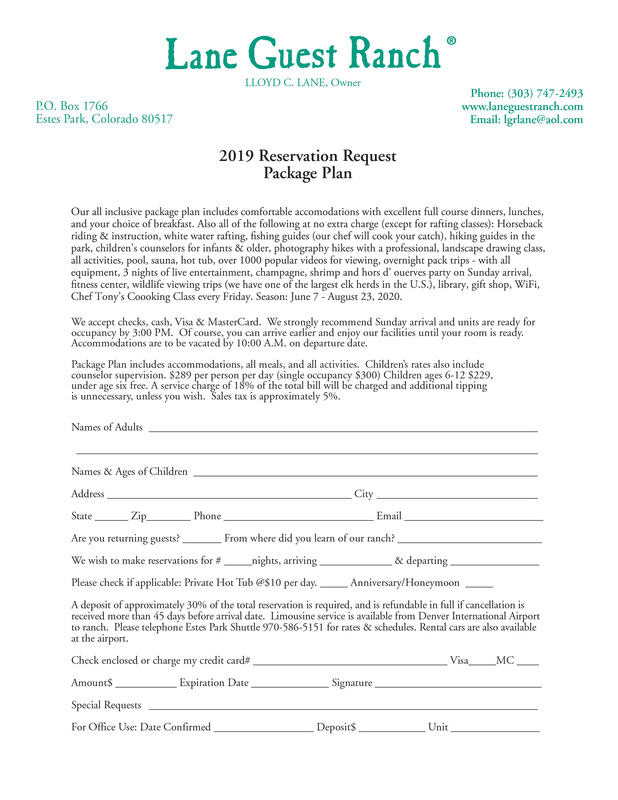 can go if they wish), and an extensive program of hikes, swims, fishing, crafts, face painting, tie dying T shirts, and trip to Estes Park. Children ages 8 and older can go white water rafting and trail riding. Children too young to ride with adults on our overnight pack trip can ride in our jeep. We are always happy to care for infants on up so that Moms can better enjoy their vacations here.